Using decorative gourds, hay, twigs, corn, and leaves to deck out your home for autumn is a great idea! Not only are you making your home look festive, you're utilizing biodegradable materials - waste not, want not. If you buy pumpkins, consider not cutting them to make Halloween jack-o'-lanterns - you can reuse them through the end of November for Thanksgiving. Using garlands or wreaths around or on your door is a cheery welcome for autumn visitors. You can even make your own leafy garland following these instructions from HGTV. One of the best things about garland is that you can also use it to decorate around your garage door. However, for your safety, carefully string it so that it's away from moving parts and vehicles. You didn't think we were going to forget Halloween, did you? If you've opted to use the first two ideas, simply add to what you've already got - purchase fake spider webs, wicked witches, or ghastly ghoul decorations to add to your haystack. If you'd prefer to skip the scary decor, opt for scarecrows and fake birds. Fall is known for its fantastically rich colors. 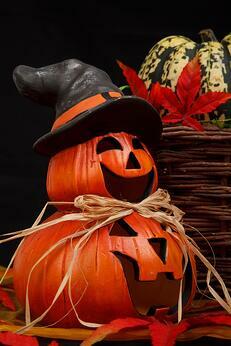 For Halloween, paint pumpkins white, black, purple, orange, and lime green for a perfectly haunted look. If you plan to use them through Thanksgiving, choose white and orange, which pair well with the other seasonal colors. Pumpkins also make a great addition to the sides of your garage door to add an even more festive look to your home. Consider swapping out outdoor furniture seating for rich purple, deep red, copper, and chocolate brown tones. We hope our ideas have sparked your creative juices this fall! Autumn is an opportune time to consider changing our your garage door, just in time for cooler temperatures. 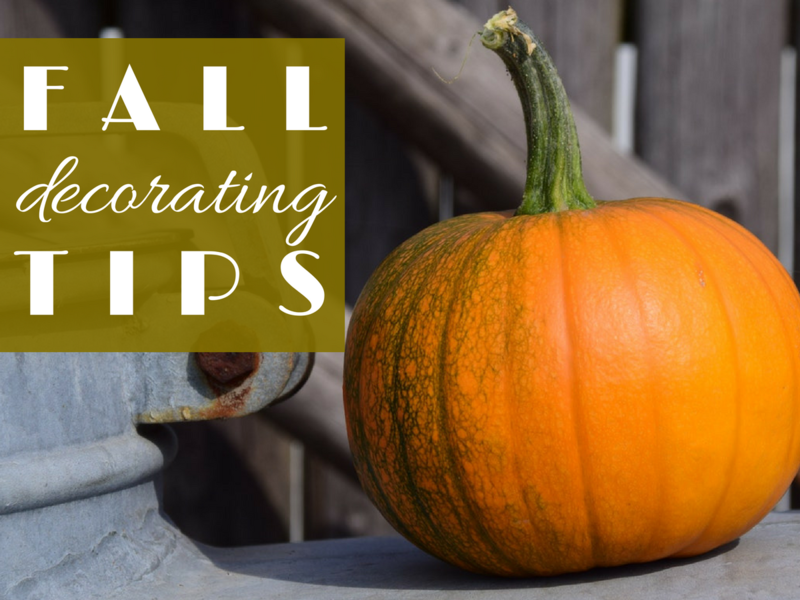 It's also a great way to make a festive statement before fall decorating begins! Find out more about how our helpful team can help you change the look of your home this season.